Though Bangalore’s abundant technical talent pool has made it India’s outsourcing capital, the city of Delhi is fast overtaking Bangalore for BPO and customer support services. Delhi has better BPO and call center capabilities when compared to other Indian outsourcing locations. 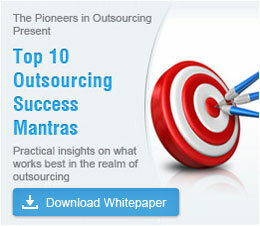 When it comes to outsourcing to India, Delhi is the second best choice after Bangalore. The national capital region (NCR) consists of Delhi, Noida and Gurgaon. These three cities are the best Indian outsourcing locations for product development, accounting and finance, engineering services, business analytics, customer support services and software development. Over the past few years, Noida and Gurgaon have become significant offshore destinations due to availability of skilled resources, low labor cost, closeness to the capital, improved transport with Delhi and good international linkage. Leading global organizations such as, Dell, SAP, Accenture, Microsoft, CapGemini, Motorola, Oracle, IBM, Intel, HP, Amdocs and Siemens have set up firms in Delhi and NCR. Wipro, Infosys and TCS are some of the famous Indian IT companies in Delhi and NCR. Delhi along with the NCR region ranks at number two among the world’s top eight global outsourcing destinations. Most outsourcers choose Delhi amongst other Indian cities, because of its ample availability of skilled resources, robust infrastructure and international airport. The city of Delhi has a large number of educational institutions that attract young graduates from across India to pursue higher education in Delhi. This city has been able to give outsourcers access to 400,000 highly skilled technical graduates on a yearly basis. Delhi offers outsourcers with low labor cost when compared to other outsourcing destinations. The entry level labor cost in Delhi’s IT sector is as low as $320, while Delhi’s BPO sector has a low labor costs ranging from $22 to $240. Recent research conducted by the NASSCOM (National Association of Software and Services Companies) has shown that Delhi and NCR have contributed 18 percent of India’s total software services exports. Delhi and NCR have stable state governments that offer foreign investors friendly operational and business policies. Massive investments are going into developing Delhi and Noida’s infrastructure, because these cities are fast becoming India’s leaders in providing design and embedded services, BPO services and product development. NASSCOM strongly believes that Delhi has a lot of potential to grow and become India’s best outsourcing destination. The NCR region is the best place to outsource BPO, as these cities have the very best in BPO capabilities. While in Delhi on the business of outsourcing, you can enjoy luxury at its best, by staying at any one of the five star luxury hotels in Delhi. Luxury hotels in Delhi have spacious boardrooms and conference halls equipped with free Wi–Fi, fax machines, phone connections and secretarial services. You can hold meetings with prospective vendors right from your hotel. If your firm is keen on outsourcing BPO, product development or design and embedded services, why not outsource to Delhi and tap in to the advantages that this city offers? Make a decision to outsource now.